Get a unique Catnapp tee, that is handmade especially for YOU! 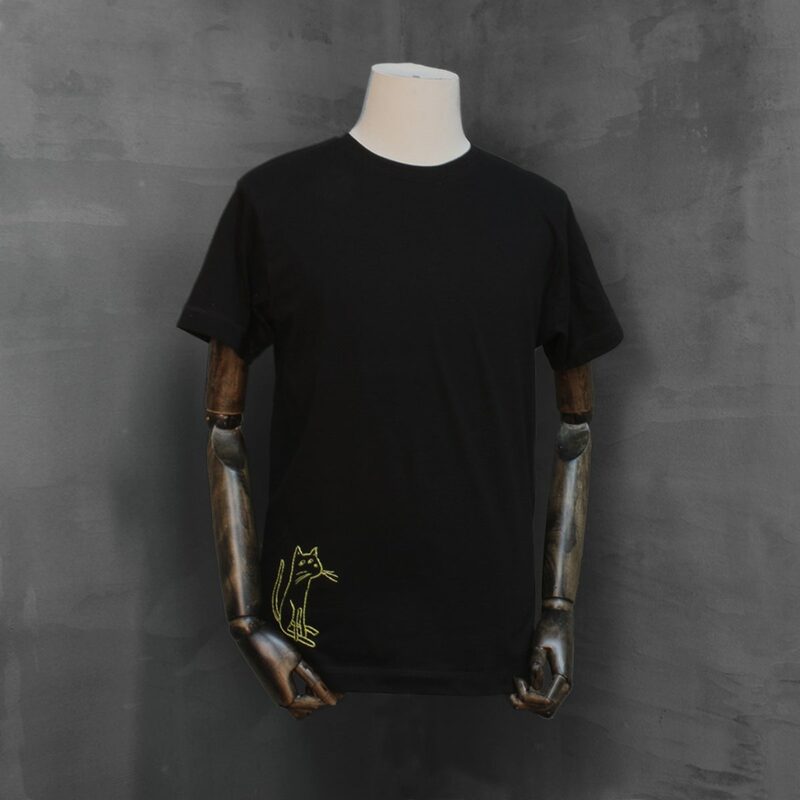 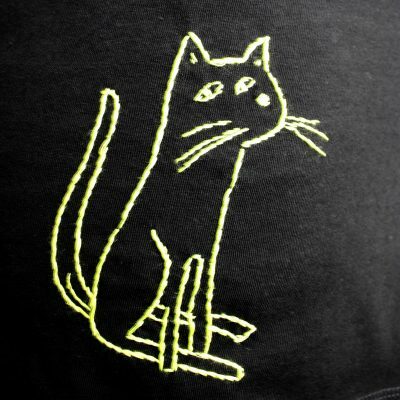 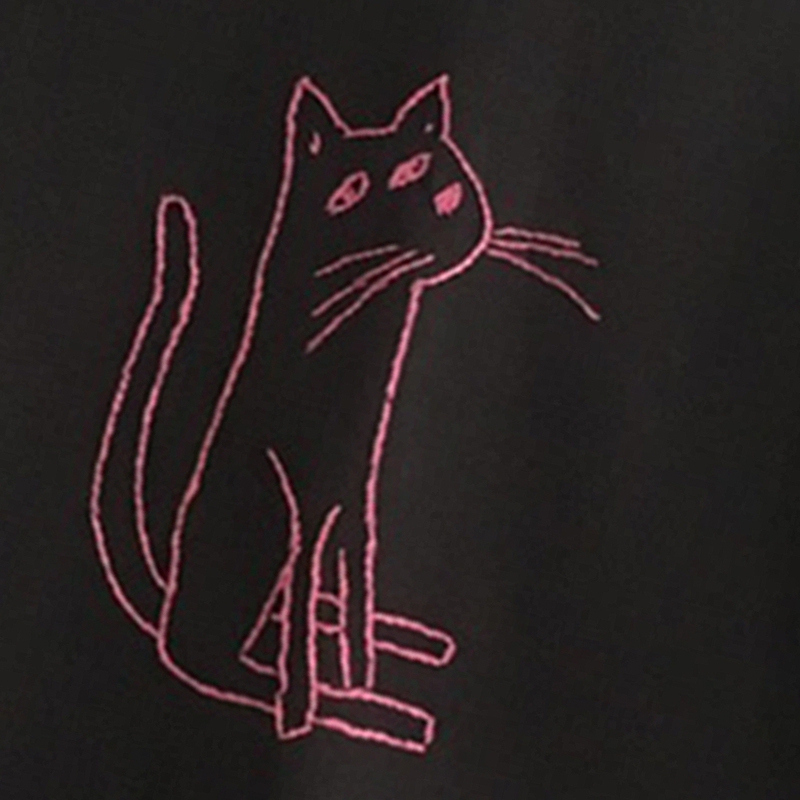 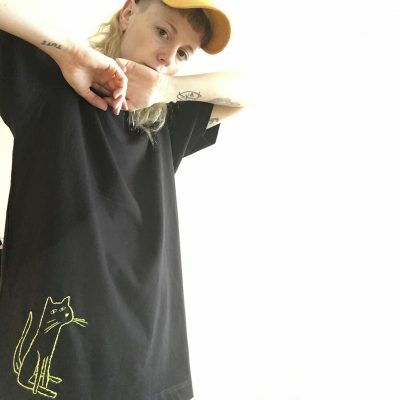 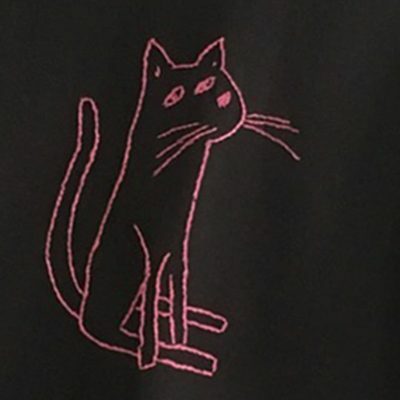 Limited black organic cotton t-shirt with hand-embroidered cat logo design. Stitching done by Sybille Hotz. 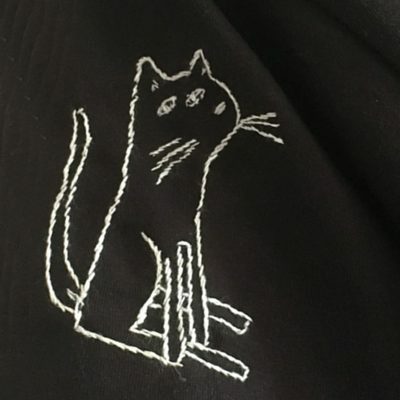 Cat design done by SNEEER.